This 16-page Special Management Report explores possible causes for long toes and underrun heels and then seeks ways to correct them. From conformation to bedding, foals to senior horses, no stone is left unturned. 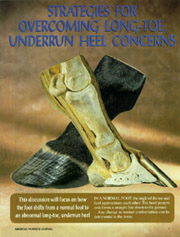 This report is a must for any horse enthusiast's library.